Experts have made significant strides in preserving Mexico's pre-Columbian pictorial heritage, carrying out restoration projects at 44 archaeological sites over the past two years, the National Anthropology and History Institute, or INAH, said. 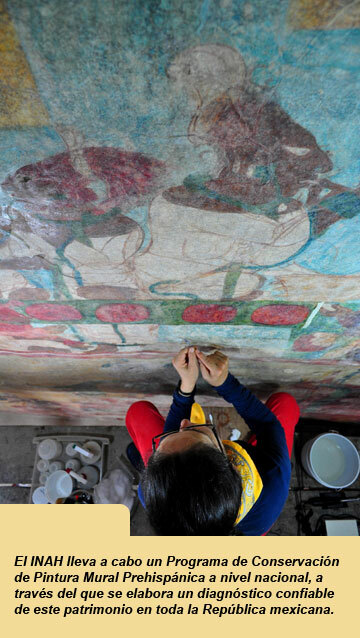 The National Pre-Columbian Mural Conservation Program, launched in 2010, has analyzed and carried out restoration work at 101 sites - covering 133 sq. meters (1,430 sq. feet) - that contain these types of artistic manifestations, ranging from fragments of less than a meter (yard) to large-scale murals. The program's goal is to preserve pictorial manifestations considered of priority importance because pre-Columbian civilizations made them as means of communication and for artistic purposes, the INAH said in a statement. "Never before had we been able to render judgment in such a short period of time on the state of conservation of such a large number of spaces with pictorial representations," Lilia Rivero Weber, coordinator of INAH's Cultural Heritage Conservation division, said. The program has focused thus far on priority projects involving pre-Columbian murals of great historical and aesthetic value that pose a daunting challenge in terms of their preservation. 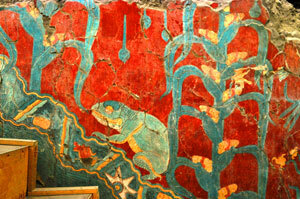 The archaeological zone of Cacaxtla, located in the east-central state of Tlaxcala, contains murals that were created between A.D. 800-1000 and are considered highly valuable because of their impeccable craftsmanship and unique iconography. 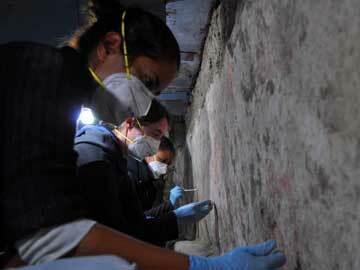 Archaeologists, engineers and chemists are participating in the project and working to eliminate impurities and preserve the paintings, Rivero Weber said.